The fact that word of mouth has been a force behind commerce for a long time does not need repeating. Indeed, this amazing phenomenon has been around for as long as humans have been humans. Most of the decisions that people make are based on the information that comes from friends, family and peers, among others. Today, word of mouth has assumed digital dimensions, making it a useful tool in every business’ marketing repertoire. Business, it has to be said, is all about trust, and online reviews are one of the tools that businesses can use to build their brands’ trust scores. Again, it all boils down to the fact that people generally want to tread where others have previously trodden. A consumer will buy a particular product more freely if they know that other people have already made the purchase. And with the ease with which it has become to leave and read reviews, people will naturally gravitate towards products and services that have been extensively reviewed, as opposed to those that have not. This trust symbolism takes a visual aspect when it comes to the star rating extensions that we mention below. One of the reasons why businesses should never ignore online reviews is the fact that so many people around the world depend on them. Indeed, most people trust online reviews as much as they do information that they get from their friends and family. Every business should, therefore, strive to have a presence on sites such as Yelp, Google and Shopper Approved in order to capitalise on this phenomenon. If you need convincing about the importance of online reviews, just consider the fact that over 90% of people consult them before making purchasing decisions. Search Engine Optimization (SEO), the art and science of getting better rankings for web pages, now relies heavily on online reviews. Indeed, reviews are an important ranking metric as far as Google and other Search Engines are concerned. That is particularly the case when it comes to Local SEO. Google has, over the past few years, been moving more and more towards giving prominence to local pages for local searches. That is hardly surprising, considering that over 90% of searches that are made around the world are local searches. It’s important, therefore, for every business to get listings on Google Maps, Yelp, Shopper Approved and other online review platforms, since these are used as a source of data for local SEO rankings by Google. Star rating extensions and how you can get them are a favorite topic of ours on this blog. Feel free to consult the pages in the provided link for more about star ratings. Needless to say here that they are composed of Seller and Product ratings, as well as the ratings that appear in organic search. The important thing to note is that Google and other Search Engines get the data that they use in Star Rating extensions from the various review sites that are out there. Of these, one of the best is, without doubt, Shopper Approved, which is licensed by Google to syndicate both Seller and Product ratings to Google PLA and Google Shopping. So, if you wish to get star ratings for your business’ AdWords Ads, it’s important for you to start taking online reviews seriously. Our analysis of the importance of online reviews to businesses around the world would be incomplete without stating the fact that, when negative, the feedback that is left across the internet can be devastating. Indeed, 87% of people say they would not bother doing business with a company that has a 3 star rating. What this means is that every business should strive to make sure that it gets positive ratings, which is not always possible. Businesses that interact with human beings will inevitably receive negative feedback, and, where care is not taken, can end up losing potential customers as a result. The good news is that there are various things that you can do to counter any negative feedback, including reaching out to the affected customers and finding solutions to their concerns. An extra star on Yelp translates into 17% more bookings for restaurants. Again, a large part of the issue here is that people tend to trust what their peers have to say, making it important for businesses to get as much positive feedback as they can get. Another important statistic is the fact that businesses that get star ratings in their AdWords ads get a 17% boost in CTR. Again, this translates into real, quantifiable money for a business. Remember what we have just said about online reviews being the source of star ratings? It’s important, therefore, for businesses to make sure that they take online reviews seriously. If you have not already been doing so, it’s long past the time that you should get online reviews for your business. 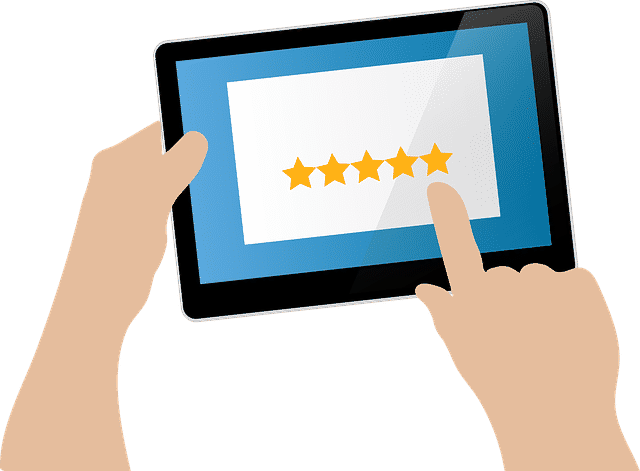 Online reviews represent a quantifiable financial factor for every business, and you should not be left off the bandwagon.